Nic’s career began in Rome, Italy before moving to America in 1994. He started working for John Barrett at Bergdorf Goodman in New York City where he studied color extensively. He later moved to New Jersey to work for David Allan and Nelund Minton. 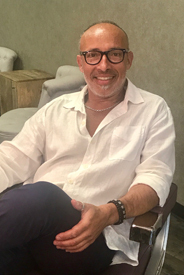 In 2002, he realized his dreams of being a business owner and opened Riccio Salon in Mahwah before selling and opening Salon Jodana in Midland Park, NJ. Nic specializes in Thermo Cut for Wellness Haircuts, and uses his gift for color to give you the look and feel that would best compliment your style. Also recently certified as a Hair Extension and Additions Specialist. John was born blessed with natural artistic talent. Growing up, he continued to foster his skills and education in the arts. He had an eye for beauty, and found that he could combine his passions by becoming a hair stylist. He was excited at the thought of infusing his creativity into coloring, cutting, and styling hair; ultimately creating each client into a masterpiece. 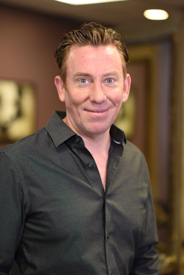 After attending Cosmetology school in 1996, John started his career working in a high end salon in Manhattan. He trained under one of the top hair colorists in New York City. John was then offered a great position in New Jersey at a fast growing salon. With strong communication skills, he develops a deep understanding of the clients wants and needs, and delivers unique and exquisite designs. His creations reflect his clients desires, and clients leave feeling heard and beautiful (what more could a woman want?). That is what is so special about John; he does fabulous work, and he builds genuine client relationships. John has a dedicated clientele that has followed him for 21 years. He looks forward to serving you. 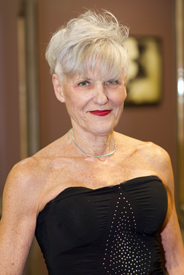 Kristin is an accomplished stylist with over 27 years experience in the beauty industry. 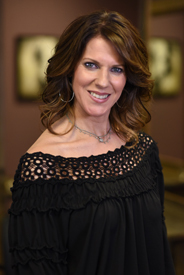 Her education and training extends from advanced cut & curl techniques to certifications in the latest hair treatments, keeping her on the cutting edge of what’s new in all aspects of haircare. 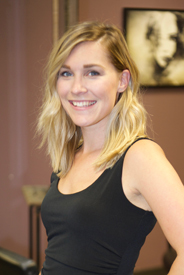 She specializes in balayage, highlights, long & short hair, men’s cuts and Keratin treatments. Maha is a professional hair designer. She has been working with hair full-time for the past 32 years. She was corporate in her earlier professional life, but hair cutting and styling were always a passion of hers and free time outlet. At the age of 37, she decided to follow her passion and commit her full professional life to beauty culture and hair design. 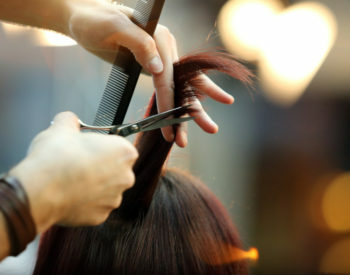 She is experienced in coloring, cutting and hair styling. Also, she is experienced and good with bridal hair-styling and bridal parties, up-dos for proms and formal events. She was a previous owner of two hair salons and her motto was and is always “Let us help you fall in love with your hair again”. She looks forward to meeting you and discussing your hair needs and style it to your expectations. Keeping up with up-to-date techniques, chemical treatments, styles and the health of your hair is her specialty. Come see her at Salon Jodana, she works 5 days a week from Tues-Sat 9-5 every day and 9-8 on Thursdays. beauty classes. She cares for every client with the highest standards, giving them nothing short of her best! Always an artist, Tara started her career in interior design, but really wanted a live canvas and bigger challenges. So, she decided to attend cosmetology school. Finally finding her passion, she perfected her make-up application skills, raising the bar by entering many competitions. Always competitive, she decided to master hair extensions and got her certification. Her keen eye for color and continuing education has made her an excellent colorist as well. From an early age, Brittany always knew she wanted to be in the beauty industry. 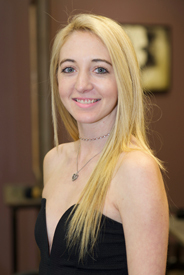 She was able to pursue this dream upon graduating from Artistic Academy Hair Design in June of 2013. She started her journey as an assistant at Colorforms Hair Salon for one year before having the opportunity of working with Daniela. Brittany has been working as an apprentice alongside Daniela and Nicola for three years and continues to grow in her craft. She is now working her way to building her clientele behind the chair. 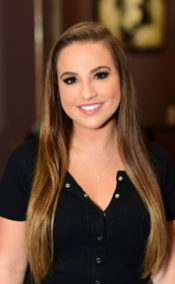 Brittany is an active part of the education program that Salon Jodana provides by staying up to date with all the latest styles and trends. She is also expanding her cosmetology skills by becoming a makeup artist. She loves getting to know all of her clients and making them feel comfortable and confident. Nicole has 5+ years experience in the beauty industry. She has trained with master stylist and owner of Salon Jodana Nic Autore. Her passion is all phases of color and is also certified in hair extensions. Sarah has always had a passion for beauty and fashion, she loves the befores and afters and seeing the transformation after doing there hair and make up. 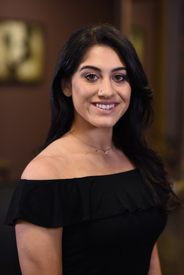 Growing up in Glen Rock New Jersey she chose a different route from attending a University to actually mastering cosmetology school while she was finishing her last two years in high school. She started out at Strand Salon in Hawthorne for 2 years, learning the techniques behind this amazing field. She followed her boss (John Paxton) to what is now Salon Jodana and found the love and excitement that this environment gives you. She is very excited and proud to now start building her career! 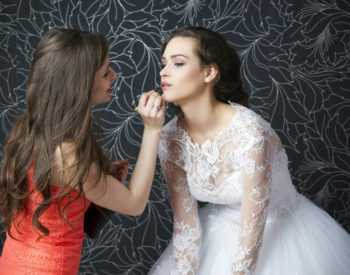 Christina’s passion for beauty budded at the tender age of 16 while doing her friends hair and makeup for special events. She realized that when people felt good on the outside it actuated their inner beauty. She finally fulfilled her passion by attending Parisian Beauty Academy to become a licensed cosmetologist. After getting her cosmetology license she challenged herself a step further and attended the acclaimed Artist Makeup Academy, located in Hoboken New Jersey, to become a certified Professional Makeup Artist. She was then certified by two celebrity makeup artists, Hrush Achemyan and Mario Dedivanovic, who’s clients include The Kardashian family, Ariana Grande most notably super model, Kendall Jenner. She was also included in a team that worked for Netflix films doing hair and makeup and featured in People Magazine for her work. Christina also attended multiple Paul Mitchel hair courses where she has learned different types of coloring and cutting techniques. Her passion for the beauty industry is evident from her work and enthusiasm the minute you meet her. 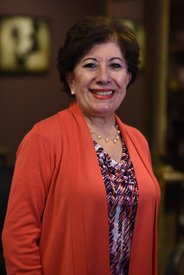 She has been a receptionist for over 19 years making every customer feel special, as they are. Her daily goals are keeping our stylists and customers all having a great experience at Salon Jodana and enjoying their days ahead with beautiful hair.